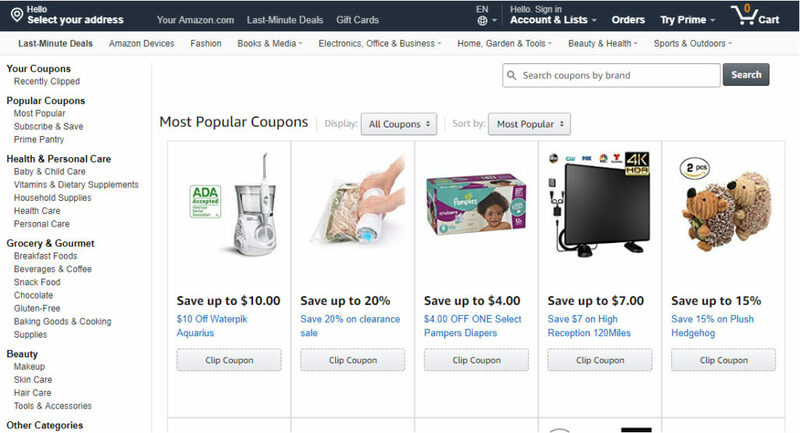 Did you know that you can clip coupons for Food & Grocery Items on Amazon?! Yep, sure can! And you can save a lot of money with them too. Add in the convenience and time-savings of having your stuff delivered to your door, and it all adds up to Amazon being a terrific addition to your arsenal of strategies to save your time and money. Once you’re there, just select the category you’re interested in – say, Grocery & Gourmet, for instance – and then select how you want those coupons sorted. You can choose Oldest, Expiring Soon, Most Popular and Discount Percentage. I like to sort by Discount Percentage to see the biggest savings first, and sometimes by Most Popular. Happy Coupon Clipping on Amazon!